I‘ve had so many crazy, random ideas before, some of which I have ever acted upon. But none of them ever lasted long, and most remained as forgotten ideas at the back of my mind. Stillborns, I call them. Dear Love,™ is the only one to have made it this far. I can’t believe it myself either, especially with the progress it has made. Few pleasant surprises today as well ^^ !!! In case you didn’t know, ihatequotes and TheLoveStories are the top third and fourth leading quote accounts on Twitter respectively. Because yesterday night, I went to post up these 3 quotes on Board Of Wisdom. All of them are 100% thought of and written by me. Plus I really like them and thought they were good enough. Board Of Wisdom is a website with millions of quotes posted by people from all over the world. Some are original, some are jokes, some are quotes from books/movies etc. I happen to know that many quote accounts get their quotes from here. Very few original people who write their own quotes nowadays. But still, didn’t ever expect to be retweeted by 2 of the most popular quote accounts. Anw it’s really a big honour for me, even though the former REMOVED MY LINK (!!!) but nevermind. 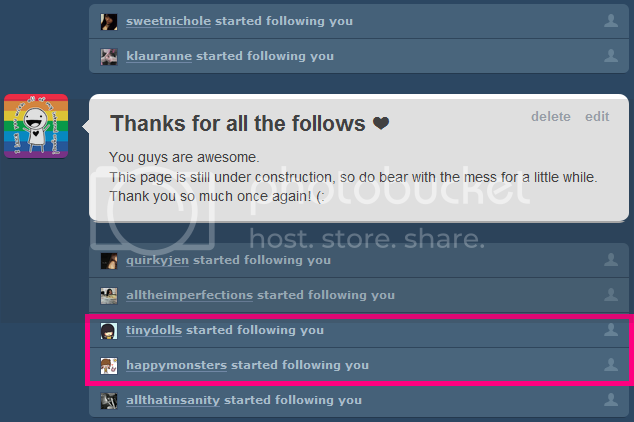 Again, happymonsters and tinydolls are popular doodle blogs on Tumblr. happymonsters is the top leading doodle blog with 60k + followers and tinydolls has 10k+. 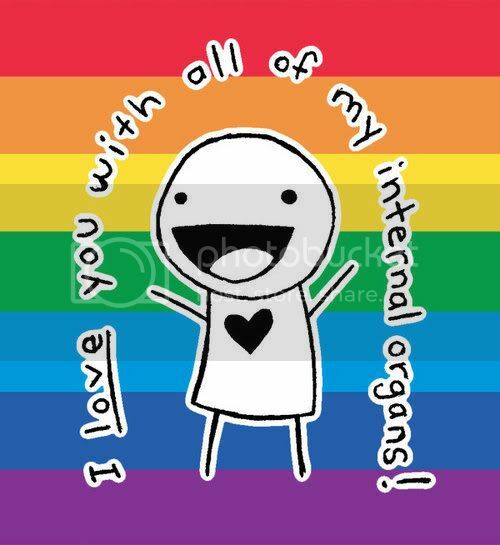 So anw, Dear Love,™ has finally reached 100 fans on Facebook and nearly 4000 Twitter followers. Thankyou so much every single one of you. This would not have been possible without you guys and you have no idea how much I appreciate all of your support and the positive feedback some of you have given me. This entry was posted on Friday, August 27th, 2010 at 9:55 pm and is filed under Dear Love,. You can follow any responses to this entry through the RSS 2.0 feed. You can leave a response, or trackback from your own site.